Okay, okay, I’m not actually famous but let me have this. Let me just pretend. It’s been absolutely amazing and overwhelming the response I’ve gotten from my Am I Bitter? post. It’s funny you start a blog simply because you enjoy writing or have a passion for something. It’s mostly just for yourself. Maybe you’ll harass your friends and family, forcing them to read your latest post. You never imagine that anyone else will be reading your words. Total strangers taking time out of their day to see what you have to say. When that does happen, it’s pretty awesome. I genuinely want to thank everyone who took the time to read/comment/like my article. You guys made my weekend. That post somehow even reached a producer on CBS. After reading my post, CBS contacted me about a story they’re working on. They came to my sister’s house this morning to interview me. That’s right, I’m gonna be on TV. I guess I CAN call myself famous. If you’re itching to see what the girl behind this blog looks and sounds like, then watch CBS Evening News this Thursday at 6:30 p.m.
On to other awesome news, I was nominated for a Liebster Award by the lovely blog Mind Of A Mermaid. How awesome is that? 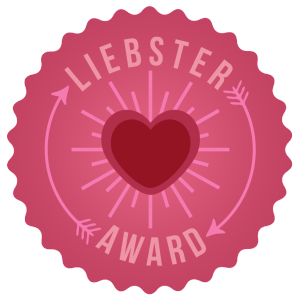 Some of you may not know what a Liebster Award is. (I wasn’t sure either.) I’ll just copy and paste the rules below and then I can get to my acceptance speech (a.k.a. answering of the questions) and my nominations. First up? The questions given to me. 1. If you could choose any character from a book to be your best friend, who would it be and why? Woah, starting off hard. I love reading and fall in love with so many different characters so it wasn’t east picking just one character. I finally decided to go with Hermione Granger. It’s cliche to go with a Harry Potter character but they are all so awesome! Hermione was such an amazing character. Smart, loyal, caring. And if you’re best friends with Hermione, there is a good a chance you’re close with the rest of the trio as well. 2. What is you favorite breakfast food? Eggs over easy with home fries, extra crispy bacon, and white toast with butter. 3. What is your favorite cheesy romantic comedy? What’s Your Number. That movie is awesome. I really liked it. Anna Faris is the best and Chris Evans was gorgeous in it. Oh boy. I don’t know exactly. But I honestly just hope that I’m happy. Whether that comes from where I’m living, who I’m living with, or what I’m doing for a living, it doesn’t matter. The smell of fireworks. If they could find a way to bottle that smell, I would wear it year round. That’s one of my favorite things about summer: the sight and smell of fireworks. 6. What do you do when you need to relax? Creative outlets? When I just want to relax, I like to read. I’m a huge bookworm. I will read anything and everything. 7. What would your super power be? Invisibility. You can literally go anywhere and find out anything if you can become invisible. 8. What is your definition of love? Love is about acceptance. It’s someone who loves you for who you are. You don’t have to ever pretend to be something that you’re not. 9. What song do you listen to to pump yourself up? Not a specific song but I listen to a lot of upbeat country music when I want to pump myself up. It always makes me want to get up and dance. 10. What would you do differently if you lived without the fear of being judged? At the moment, nothing. There are a lot of things I would have done differently when I was younger. If you asked me when I was in high school, I’m sure I’d have a list of things. But now I cannot think of anything I don’t do because of fear of judgment. 11. What was the last thing that made you laugh? I was playing with my 2-year-old nephew earlier and he was pretending to be a monster and attacking me. I’m always cracking up when I’m with him. Now onto my random facts. 2. I do not like the taste of coffee. 3. I have done karaoke twice in my entire life and both times was when I was on vacation. 4. I’m a big football and baseball fan. I root for the Yankees and Giants. 5. I have two sisters, one younger and one older. They are my best friends. I seriously have no idea what I would do without them. 6. My favorite childhood book is Matilda. 7. I am a huge klutz. I actually had to take a break from writing this post because I spilled my soda all over the table. I wish this was joke but I’m dead serious. 8. I am obsessed with London and everything British, yet I’ve never been. Next big vacation, London is at the top of my list. 9. I am not a picky eater at all but I HATE cream cheese and chocolate covered pretzels. 10. My favorite dessert is cupcakes, particularly vanilla cupcakes with vanilla buttercream frosting and sprinkles. 11. I have this goal to eventually visit every major league ballpark here in America. I try to visit at least one new one every summer. I haven’t really been blogging that long on here but I’ve already come across some amazing blogs. Here are some of my faves that fit the “under 1000 followers” criteria. You should definitely check them out. They are all awesome! 2. What is the best vacation you’ve ever been on? 3. If you could travel to one place in the world (money and time are not a problem), where would it be? 5. What is your favorite post you’ve ever written? 6. Do you have any siblings? If so, how many? 8. If you had to give up one of the following mediums, which would it be: Television, Internet, Books, or Movies? 9. What made you first start your blog? It’s totally like a chain letter. When I was younger emails like this used to go around all the time. It had a bunch of questions they had you answer then forward to your ten closest friends. This totally reminded me of that so it was like a fun trip down memory lane. Hi, I am Danyealah and I am a young writer/blogger/poet. I just wanted to congratulate you. I read your post ‘Am I Bitter’ and I really liked it. Keep up the great work! Thank you! If it does get to the web somehow I will post it on here! I read your post ‘Am I bitter’. It is beautiful. Hey, thanks so much for the nomination! Just read your “Am I Bitter” post, and I see what everyone is raving about. Really enjoyed it! Can’t wait to check out the other blogs you linked too as well. Thanks for checking out my blog; nice to know someone is enjoying what I’m writing! Congrats girl. That’s awesome news. And yes, if it does get to the web, add it here please. Congratulations! I actually found you on WordPress’s freshly pressed and then after reading your “Am I too young to be so bitter?” post, I didn’t realize I already read everything in your blog. I read everything from top to bottom. I think you are awesome and I can relate to your musings most of the time. It’s just that sometimes (I don’t know how to put this correctly and I don’t want to sound rude), I think you are unaware of how awesome you are. I think you are worth more than what you can imagine.